Cumberland Valley is an outdoor enthusiast hotspot, with a variety of hiking trails spread throughout the area that range in both length and level of difficulty. Hiking is a great way to enjoy the outdoors with friends or family, but also an excellent form of exercise. Keep up the fit lifestyle by including some healthy snacks and meals in your stay. The Cumberland Valley is home to over 200 miles of trails. Below are a few suggestions along with options to grab a nearby, healthy bite to eat. Find more about all our hiking trails, or pick from our Top 10 Hikes. Easy - If you&apos;re looking for a leisurely outdoor hike head to the Cumberland Valley Rail Trail. This 11-mile trail connects Newville to Shippensburg. It&apos;s a nice flat surface with great signage on the area&apos;s history and agricultural significance. Plan to finish in Shippensburg and re-energize with a kale smoothie from Cabin on King. Moderate - Kick it up a notch with a hike along the famed Appalachian Trail in Boiling Springs. Before or after, grab a fruit smoothie or healthy salad from Caffe 101. Difficult - For a real challenge, try some of the trails at the 913-acre Mount Holly Marsh Preserve. Difficult terrain options include rocky climbs and steep spots through wooded areas. 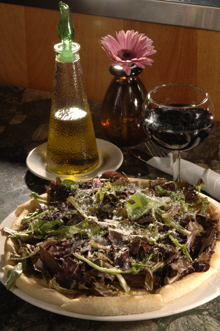 When it&apos;s time for lunch, stop by Crumbs Cafe for a great salad or sandwich. Although after a difficult hike, you could also indulge in one of their homemade baked goodies. Before heading out to hike, pick up a few healthy snacks at these local favorites. 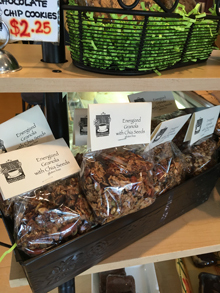 Cornerstone Coffeehouse in Camp Hill makes their own granola, trail mix cookies, sports bars and delicious salads to go like the popular super protein salad with quinoa, edamame, chickpeas, roasted pumpkin seeds and more. The Healthy Grocer in Camp Hill offers a huge variety of natural and organic snacks and food items. You can also get healthy, made-to-order juices and sandwiches. After a day in the outdoors, relax with a delicious dinner that won&apos;t undo all your hardwork. Healthy, and tasty, options can be found at the following restaurants. Browse all your options. Hellenic Kouzina Greek Cafe - This local hotspot offers tons of Greek favorites. Keep it healthy with the chicken skewers or filling Greek Salad. The Pizza Grille - It&apos;s hard to believe a restaurant with the word pizza in the name could be healthy, but this spot offers delicious chopped salads with a variety of flavor combinations including Feta & Sun-Dried Tomato and Fruit & Nut. Carlisle Thai Cuisine - Find a selection of vegan and gluten free options at Carlisle Thai Cuisine. You can also spice it up by choosing your level of heat. Cafe Magnolia - Try one of the most popular menu items, Jess&apos;s Favorite Salad in the Whole World, for a healthy boost including almonds, strawberries and coconut-encrusted chicken. Vrai - This restaurant in Lemoyne features "true" food and they like to include raw, organic ingredients in their dishes. Choices include farm turkey meatballs, black bean sweet potato tortillas and a red quinoa cake. Cool down with a guilt-free dessert at Bamboo Frozen Yogurt Cafe in Mechanicsburg.